New Bolt Plus in the house! Quick specs and a few pics to follow. Enjoy and best wishes! Last edited by Coda on Sat Mar 29, 2014 2:52 pm, edited 1 time in total. That is stunning. Question: was the headstock finish requested and not applied, or did you not think to specify (or assume it would be automatic)? I hope this is not another mistake in the build--that's been much too common lately. Fantastic video, fantastic narration, and and even-fantasticer guitar!!! Loving that wood/finish combo!! Wow, amazin all-around! Casual Madman wrote: That is stunning. Question: was the headstock finish requested and not applied, or did you not think to specify (or assume it would be automatic)? CM, I'm accepting some of the fault for this. My email to my salesman had it listed, the quote I got back did not and I didn't notice. I'm hoping we can swap necks - everything else about it id drop dead gorgeous and spot-on what I was hoping for! Mooseboy! You inspire me, my friend! I can only hope one day to have your on camera poise and talent. Thank you for your kind words! spudmunkey wrote: Fantastic video, fantastic narration, and and even-fantasticer guitar!!! Loving that wood/finish combo!! Wow, amazin all-around! Right back at ya, Spud! You sure know how to unbox it like a boss, right? Here is a thread with a lot of great photos of colors on mahogany. Yours needs to be in a new thread for colors on walnut (unless one exists already), as its a great example, and great photos! Very nice! Personally I think it looks good with the headstock as it is, but it's not mine! 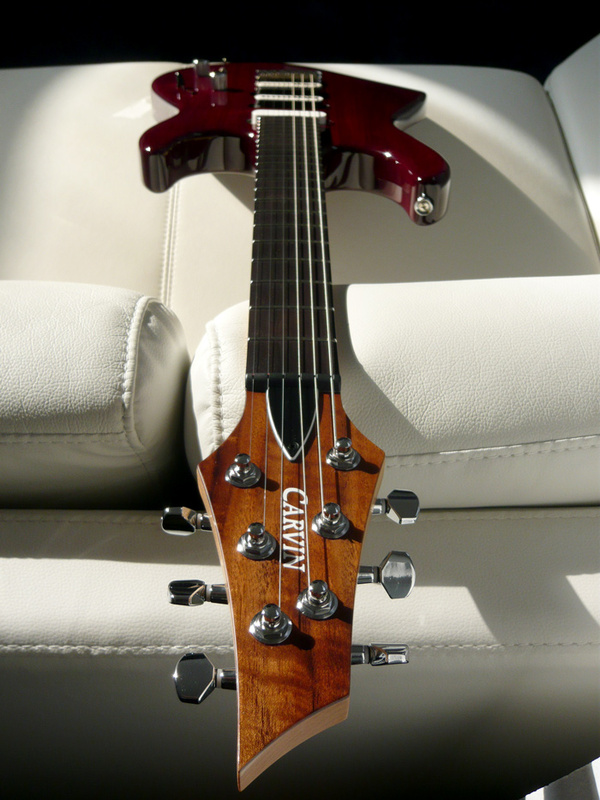 I'm sure Carvin would send you a new neck with the right headstock finish if you asked. I agree with Mooseboy, best unboxing vid yet. 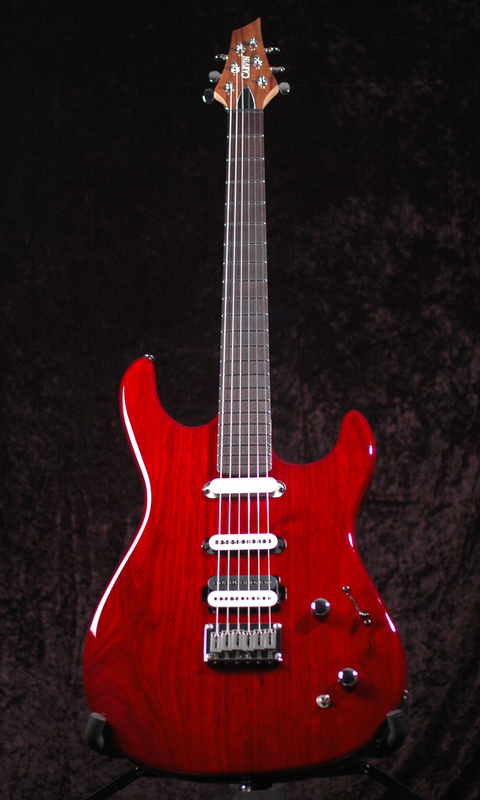 Nice guitar too. Beautiful! Great color and woods. Personally, I think the walnut headstock looks just fine, although it would have looked good with red stain too. Can't wait to see the tone demo! like'd and commented on youtube. Great video and absolutely gorgeous guitar..!!!!! Merry Christmas..
Well done on the video. I loved it! The guitar is gorgeous! The headstock looks cool the way it is but if it doesn't match the picture in your head I can see you wanting to change it. Interesting choices on the pickups and looking forward to what you think of the tones once you've had a good chance to take it for a spin. THIS VIDEO JUST PLAIN ROCKS!!!!!! I'm so glad that I watched this too!!!! Well done Coda!!!!!! PS - This is a 100% "X" approved "Must watch" video! Last edited by X-Mann on Wed Dec 25, 2013 9:54 am, edited 2 times in total. Personally, I LOVE that headstock as is, but I hope it gets sorted out for you. Happy NGD and Merry Christmas! Thanks for the comments, y'all! Actually I'm glad some of you have chimed in about the headstock. I'm looking at it with a little more acceptance. 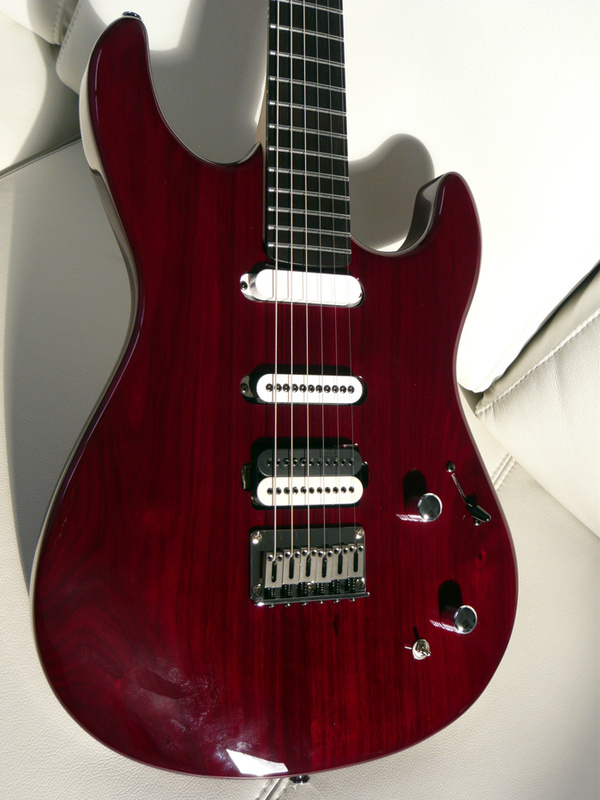 My favorite pickup combination so far is the S60 neck + M22 bridge in humbucking mode. 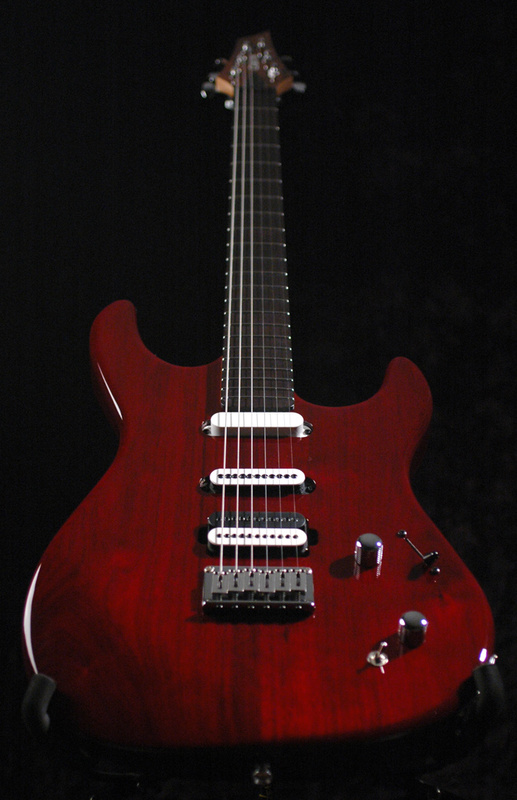 Each pickup has such a distinctive sound that when combined you get an almost chorus-like dimension. It's heavy! Weighs a ton. Build quality/fit/finish is excellent. This thing's a beast. It's a wonderful fit with my CT624M and SH445 (Bigsby) because a) it has its own sonic territory, and b) the look and feel of playing it are very different, and I really enjoy the variety. Sunlight couch shots... but to truly appreciate the crimson-on-walnut goodness you have to see this beauty in person. I'm floored! P.S. Sorry about the smudgy fingerprints. I can't keep my hands off it. Wow that is awesome!!! Awesome video. Best unboxing video to date!!! The video is only eclipsed by the beauty of your axe. Having a walnut body really adds depth to the crimson color!! Congrats and enjoy her for many years to come! Wouldn't have thought Crimson over walnut would work.....yet it so did! The grain actually shows through very well. Curious if your salesguy gave you the "I dunno about that" routine on your color & wood choice! 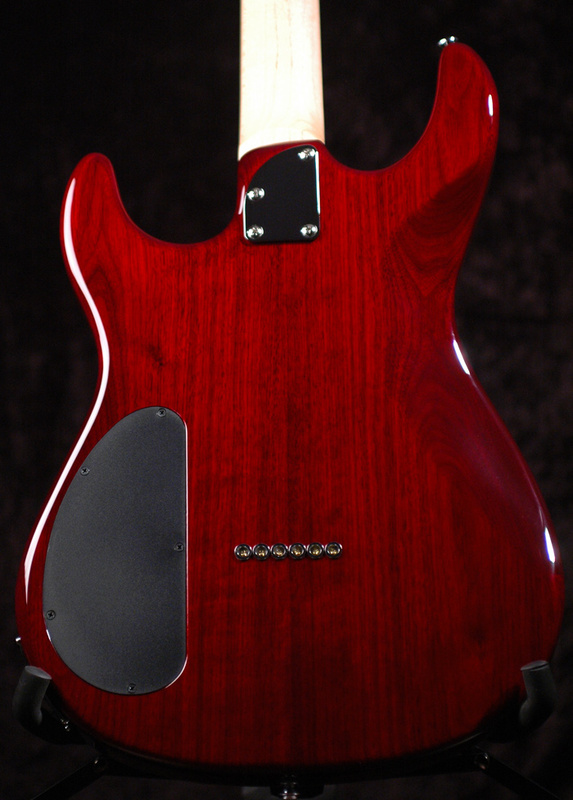 And Bro...you're a regular Dr. Suess: "In an ultimate soft case to protect it from dings, Bolt-plus crimson on walnut with a Hum & two Sings."